BRUSSELS, July 12, /ITAR-TASS/. The European Union has pun on an amended blacklist for Russia and Ukraine only leaders of the proclaimed Donetsk and Lugansk republics. No Russian names are on the list. The eleven entries are available on the website of the EU official journal. The list includes: Aleksandr Yurevich Borodai, Prime Minister of People's Republic of Donetsk, Alexander Khodakovsky, Minister of Security of People's Republic of Donetsk, Aleksandr Aleksandrovich Kalyussky, Deputy Prime Minister for Social Affairs of DPR, Alexander Khryakov, Information and Mass Communications Minister of DPR, Marat Bashirov, Prime Minister of the Council of Ministers of the People' s Republic of Lugansk, Vasyl Nikitin, Vice Prime Minister of the Council of Ministers of the People' s Republic of Lugansk, Aleksey Karyakin, Supreme Council Chair of the People' s Republic of Lugansk, Yurij Ivakin, Minister of Internal Affairs of the People' s Republic of Lugansk, Igor Plotnitsky, Defence Minister of the People' s Republic of Lugansk, Nikolay Kozitsyn, Commander of Cossack forces, Oleksiy Mozgovy, One of the leaders of armed groups in Eastern Ukraine. Thus, the number of people on the sanctions list for Ukraine and Russia totals 72. Those on the list till November will not be able to enter the European Union, and their assets in EU banks will be frozen. An EU summit on June 27 formulated four demands to Russia after signing an association agreement with Ukraine, pledging that new sanctions would be considered if these demands were not implemented before June 30. It said the following steps were to be taken: “agreement on a verification mechanism, monitored by the OSCE, for the cease-fire and for the effective control of the border, return to the Ukrainian authorities of the three border checkpoints (Izvarino, Dolzhanskiy, Krasnopartizansk), release of hostages including all of the OSCE observers, launch of substantial negotiations on the implementation of President Poroshenko’s peace plan”. The report said that otherwise, the EU was ready “to reconvene at any time for further significant restrictive measures”. A diplomatic source in Brussels told Tass that in order to impose economic sanctions against Russia, the EU leaders would have to assemble for a new summit, while the black list of Russian officials banned from entering EU countries could be expanded in a simple decision of the Council of the European Union. According to the source, a package of possible sectoral prohibitive measures against Russia was prepared by the European Commission and the European External Action Service back in May. It includes, in particular, proposals to restrict supplies to Russia of technologies and equipment for the production of oil and gas. By the present moment, the EU has imposed only a ‘second stage’ of sanctions against Russia, including visa and asset bans on some Russian officials. Now the black list consists of 61 people, not only Russians but also some leaders of federalization supporters in the southeast of Ukraine. 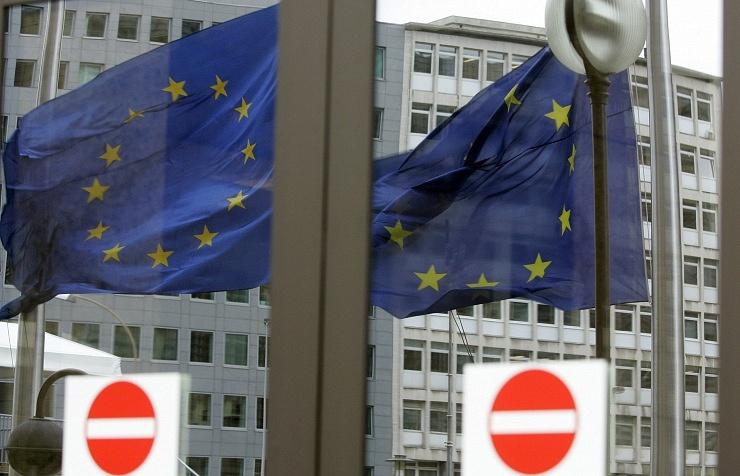 Besides, the European Union has banned business with two companies basing in Crimea. For the past few months, the EU has been discussing transition to ‘third stage’ sanctions - targeting key sectors of the Russian economy. 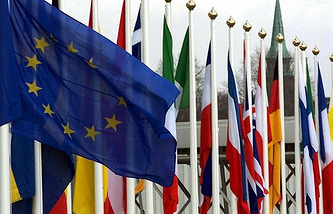 On June 22, the European Union made the decision to ban imports of Crimean products having no Ukrainian certification. However, the EU informally sees this ban as part of sanctions against Russia under the strategy in which all the EU countries should consider the peninsula as still part of Ukraine. The terminology of ‘stages’ of European sanctions against Russia appeared at an EU’s emergency summit on March 6. In line with the final statement of the summit. The first stage of sanctions against Russia was imposed on the same day. These sanctions included cancellation of a Russia-EU summit due to have been held in June, and suspension of visa negotiations and negotiations on a partnership agreement with Russia that have remained stalled for the past two years because of a tough stance assumed by Brussels.